We are happy to welcome you to our central hub for Johnston school and community events and information. To cut down on paper usage and the volume of materials sent home with students each week, non-profit organizations are asked to submit their events, announcements, and flyers to our new and improved digital backpack. In accordance with board policy, here you will find information from school sponsored, affiliated, and supported organizations; non-profit community organizations, programs, and camps; and curricular enhancement opportunities. What is the Johnston digital backpack? 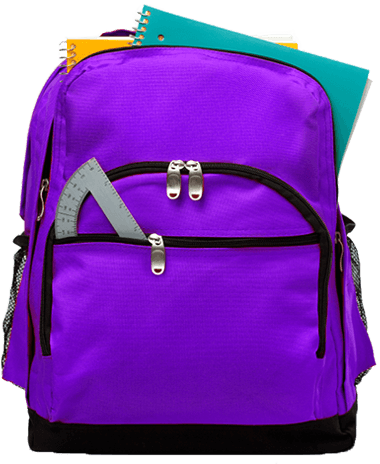 The digital backpack allows the Johnston Community School District to distribute school and community information electronically to parents, staff, and students. Can I subscribe to the digital backpack? Soon! A subscription option – based on digital backpack categories – will be available by the 2017-18 school year. The subscription will allow you to provide an email that all new events and information (within a specific category) will be sent to once posted. Can I submit an event? If you are a part of a school-affiliated, school-sponsored, school-supported, or non-profit organization – yes! Events may also be shared from for-profit organizations regarding study abroad or curricular enhancement opportunities – if approved. Will my event be approved? If your event follows all of the criteria listed above, it should approved by the communications department. If it is not, an email will be sent to the listed contact detailing why. How long will my information be available on the digital backpack? An event will expire after it’s designated event date. Can I send a paper flyer to students? According to district policy, only school-sponsored and school-affiliated organizations can send flyers home with students. All flyers must be approved by the communications department or building principal.